Squeaky Cleanservices team have been providing out-of-the-box quality cleaning services to all suburbs for the over two decades. We love spoiling our customers by giving them more than they expect from a cleaning service provider. Our goal is to achieve perfection in what we do but we always aim for excellence. Thumbsup cleaning team is serving clients for more than two decades now and we are known for being reliable, performance-oriented, and excellent customer service. We treat our customers as our top-most priority and tailor-make our services as per your their needs. Our cleaners have the proper knowledge, qualification, licensing, and training to ensure you get the best carpet steam cleaning service. Squeaky Cleanservices team is serving clients for more than two decades now and we are known for being reliable, performance-oriented, and excellent customer service. We treat our customers as our top-most priority and tailor-make our services as per your their needs. 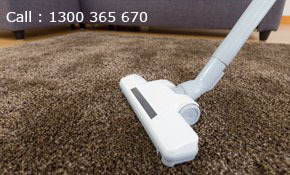 Our cleaners have the proper knowledge, qualification, licensing, and training to ensure you get the best carpet steam cleaning service.